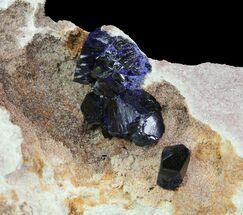 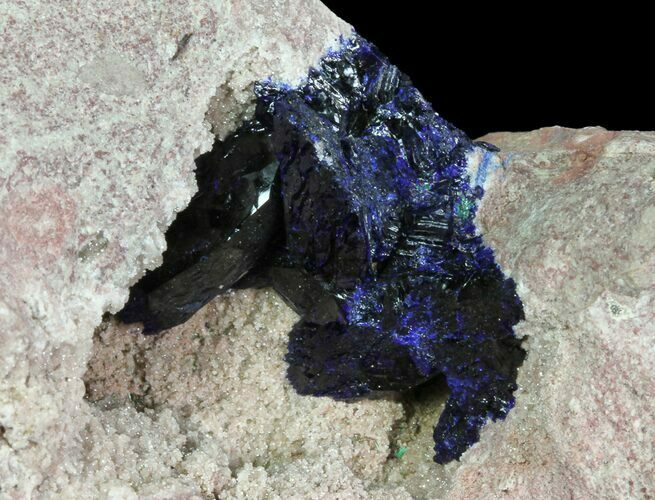 Azurite is a copper carbonate hydroxide mineral with a chemical composition of Cu3(CO3)2(OH)2. 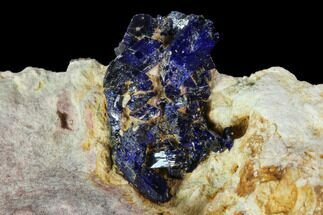 It is best known for it's beautiful and vibrant blue appearance, typically forming with other colorful, copper rich minerals. 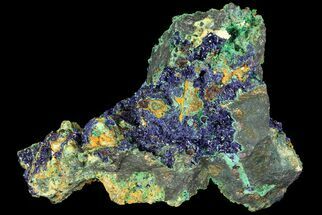 Azurite and malachite are known to form in union with each other, for their chemical makeup is very similar. 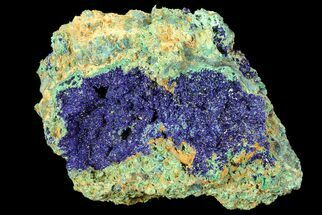 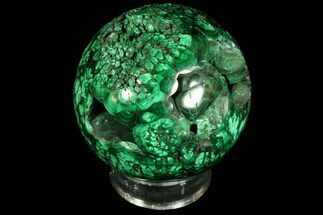 In fact, the presence of more or less water in the location of formation, is enough to determine whether an abundance of malachite over azurite, or vise-versa, will accumulate. 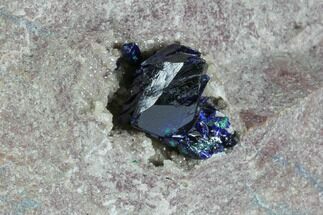 Cluster .79" wide, Rock 3.2x3"